AHFD Tower 1 on the scene for a smoke scare at an apartment that cause by food burning in a first floor unit. 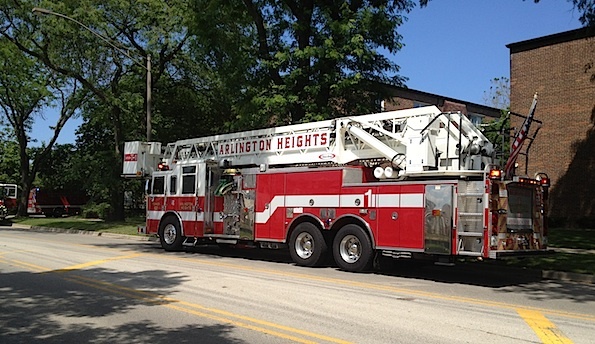 Arlington Heights police and firefighter/paramedics responded about 2:03 p.m. Thursday to a report of smoke in the hallway at Market View/Dryden Apartments at 29 North Dryden. Police and firefighters on the scene reported smoke showing upon arrival. Firefighters soon discovered heavy smoke was caused by burnt food on the stove. Firefighters ventilated the building with positive pressure ventilation and checked for safe or hazardous levels of carbon monoxide. The building was cleared after about one-half hour.